Playing with the Sketch. While I love how Joanne’s sketch includes two panels that are divided by four shapes, I couldn’t make my vision work on paper. As such, I switched things up to make them work for me – the inspiration is still there, though. I changed the orientation of the card from landscape to portrait and dropped my shapes a bit as they were so narrow that they became muddled on the busy paper I chose to use. I love that sketches can be recreated literally or can be used for inspiration. Sending Love. I’ve used this paper before (and I’ll definitely use it again), but I really love this Sending Love Designer Series Paper Stack. It’s been very popular with my customers over the past couple of weeks – they know that February 14 is just around the corner, and they will be ready with the papers they need. I paired a white-based pattern with a red-based pattern to keep things perfectly balanced. Letters for You Bundle, Stampin’ Up! I hope you’ll pop over to the Paper Players site to see the cards by the design team members and to play along with this week’s challenge. hugs and kisses for this sweet card. the red heart is the perfect touch! XOX back atcha! Fun card…love the big letters! Super cute card today! You chose my two favorite patterns from this paper set! Big and bold…great card Brian. I love how you interpreted the challenge! Awwwww…..I love it ! It is so cute ! The big letters give this card so much Personality (if you can say that about a card ) Great card !! I love the way you positioned the heart right in the O for hug. The big letter dies are fabulous and I think this is the best Valentine DSP ever. Great job as always. Gotta’ love it. Big and bold and super cute! The large letters are always a hit. Great card! Spectacular card! Using the large letter cutouts is brilliant. Fun card today and an interesting interpretation. Love how you create and put your own spin on these challenges. Love this DSP paper stack too. A great collection! Two of my most favourite products – the paper and the letter framelits – combined for your fabulous card! I love that you didn’t take the sketch literally Brian – such fun! 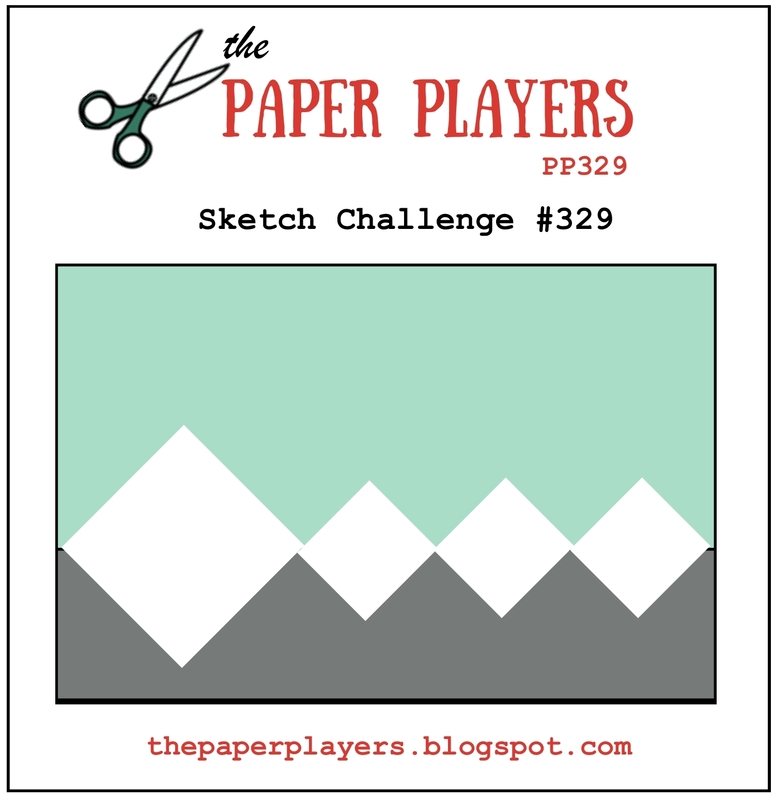 Thanks for joining in with my challenge over at The Paper Players this week!